Court reporting is much more than simply typing fast! It’s a career that offers long-term job security and a better-than-average income. As you probably already know, court reporting can be a fast-paced and fun job in an exciting workplace! If you want to pursue a career as a professional court reporter or closed captioner, your starting point is choosing the right school. 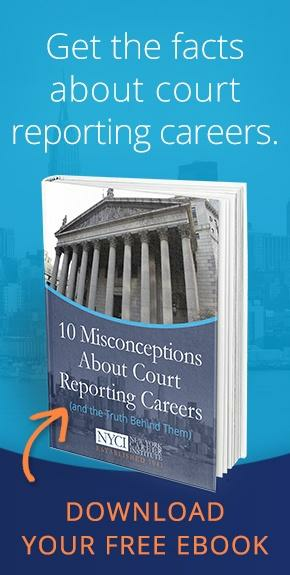 There are an abundance of court reporting schools, and choosing the one that has the program that will give you a solid foundation is difficult. After all, you’re making a time and money investment in one of your most important life decisions: your career. The National Court Reporters Association (NCRA) is an internationally recognized organization that sets the standards for court reporters in many areas, including education. Being certified by the NCRA is your first clue that the court reporting school you are considering has a good program. The NCRA website lists the U.S. court reporting schools that meet government requirements for superior education and training so that, upon graduation, you will be qualified for an entry-level position as a court reporter. Another important consideration as you investigate court reporting schools is the type of technology they use and the length of time it will take to complete your education. Do they have the latest simulation software, or are they able to give you practical experience using the types of computer and stenographic programs you will need for real world court reporting? Several websites list the top court reporting schools in the country and/or the state of New York, and you’ll see the same school or university names popping up again and again. Those are the schools with the most dependable programs and a proven success rate. One of those websites, LiveDefinition.com, speaks to the unique or notable assets of each school’s program. 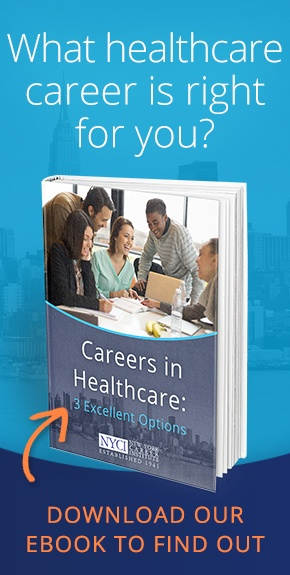 New York Careers Institute is #3 on their list. “At NYCI, you will learn how to break down the English language phonetically, and apply it to the steno machine. You will also take classes on legal and medical terminology and courtroom procedures,” cites the report. A four-year degree program is terrific and has many merits that make it a great choice for students, but if you don’t have a lot of time (or money), you’re probably going to want to begin your new work-life as soon as possible. To attract students to their educational training, court reporting schools advertise that you can complete your education and be well on the way to earning a good income in just 2 years – or less! This is an important, life-changing decision! Don’t hesitate to call class instructors to discuss their courses, meet with career counselors or ask for guidance from the financial aid office. If, as a prospective student, you didn’t feel that information-gathering was easy,or that the people with whom you spoke were anything less than helpful, that probably won’t change once you’ve joined their program. Confirm the amount of time it will take to complete your court reporter program at your own pace. Study the latest technology, equipment and software that most court reporters need and compare it to what each court reporting school offers. Trust your instincts. If you don’t feel a rapport with the school’s advisors or staff, be wary. These are the people who will be guiding and supporting you until you complete the program.